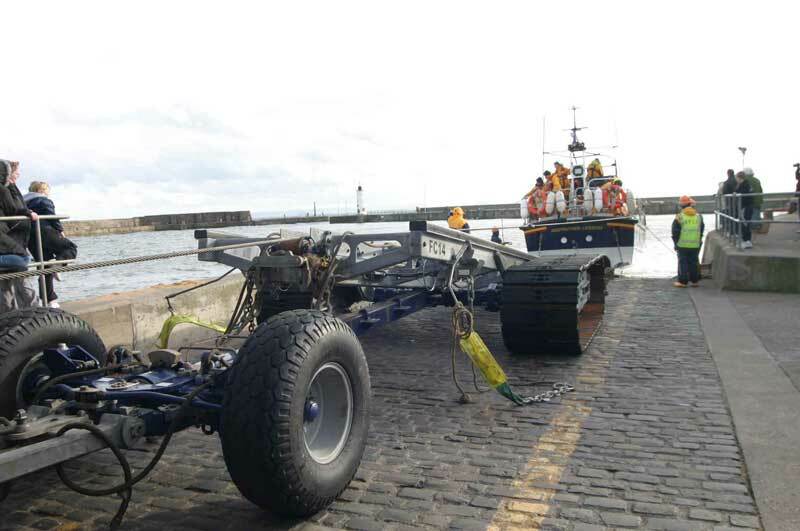 The TALUS launching / recovery tractor weighs 18 tonnes and is powered by a 210 h.p. 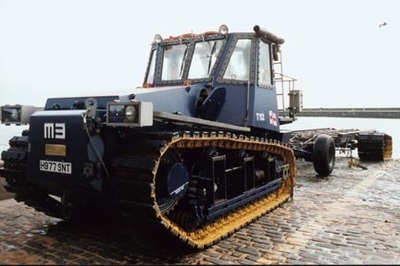 Caterpillar V8 non turbo charged diesel engine. 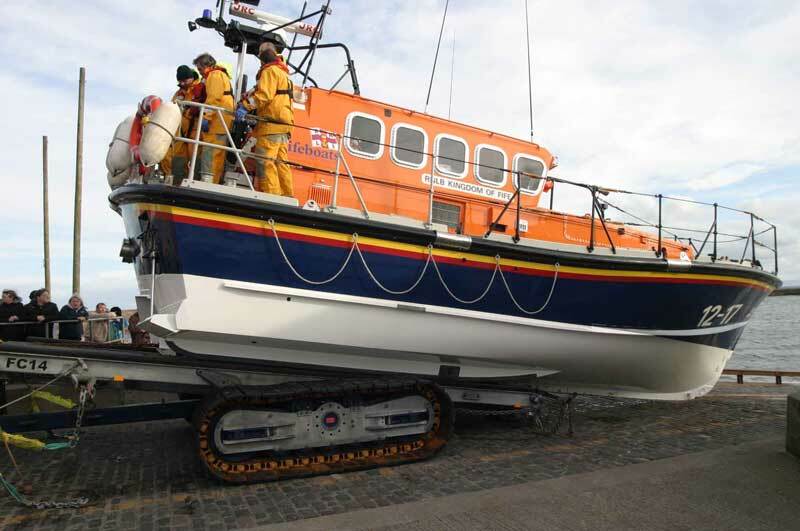 Its cab and engine compartment are totally enclosed and water tight when the doors and ventilation hatches are shut. 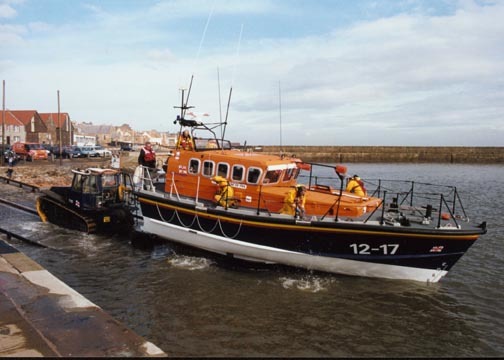 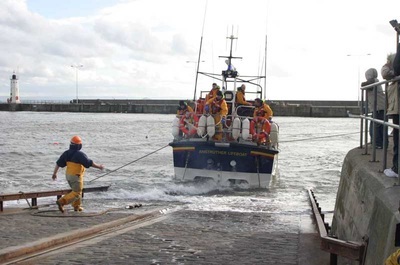 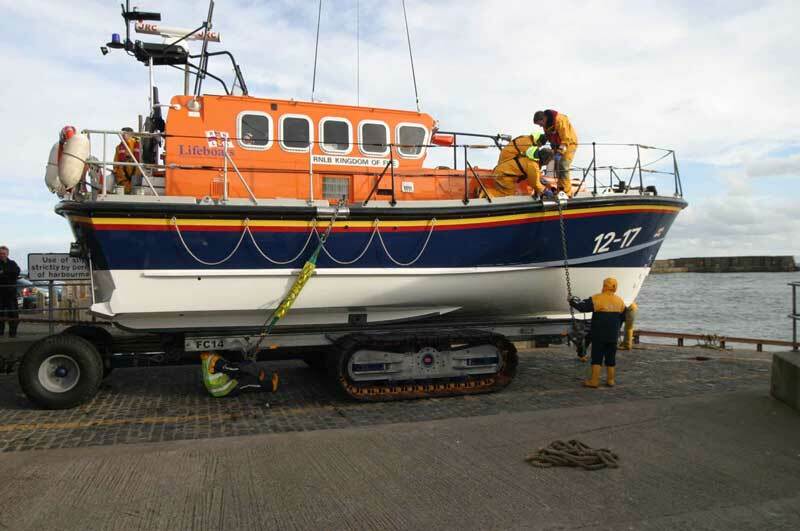 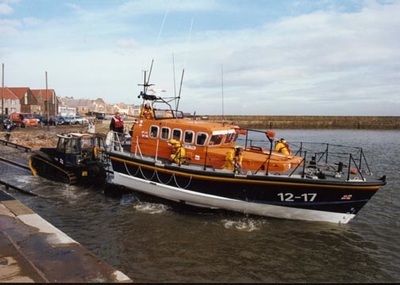 At high water the ALB can be launched from the slip. 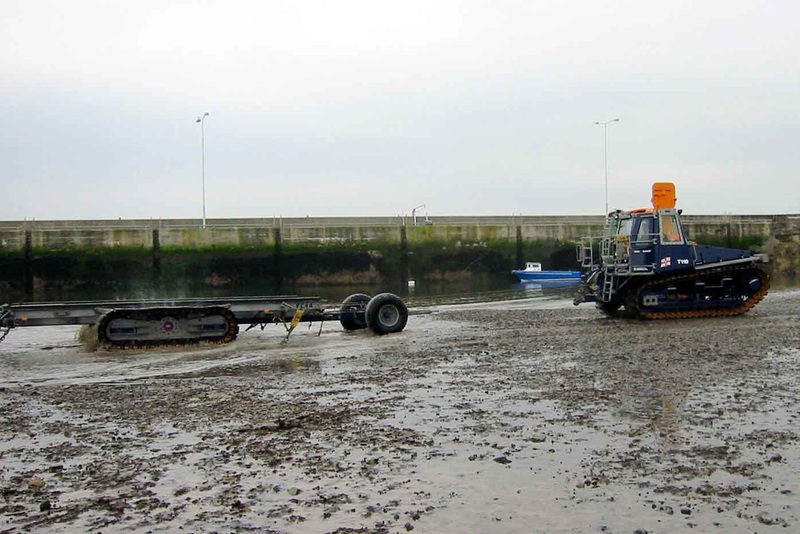 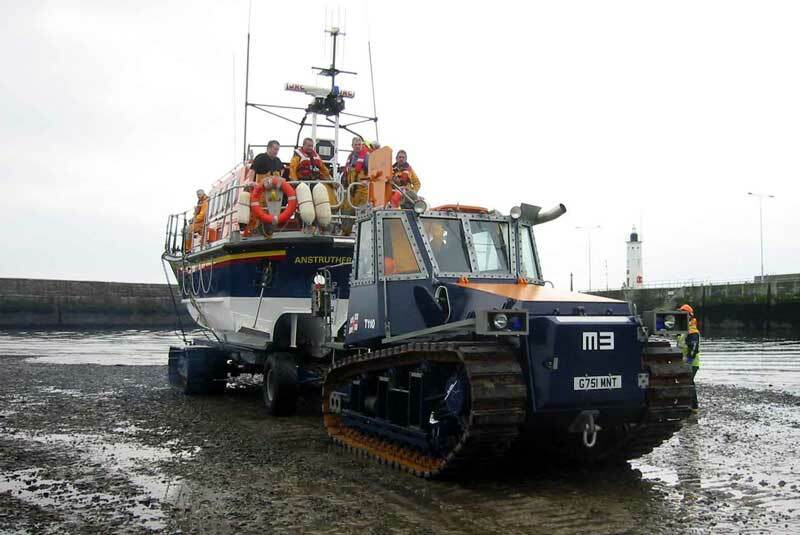 At low water the carriage is pushed out across the dry seabed into sufficiently deep water. 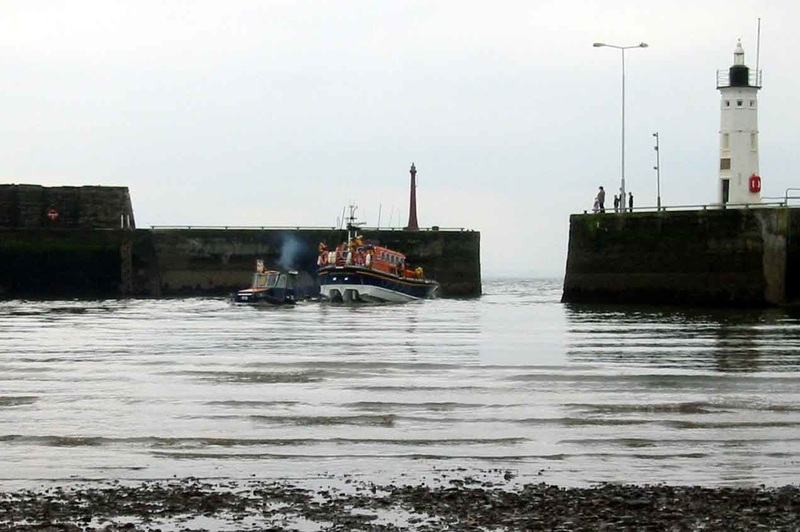 ​Once there is sufficient water at the slipway, recovery can take place. The tricky manoeuvre is driving the boat astern to place the keel in the slipway centre channel. 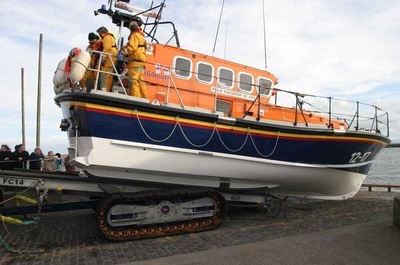 When this is achieved, a bridle is attached to winch the boat onto the carriage.